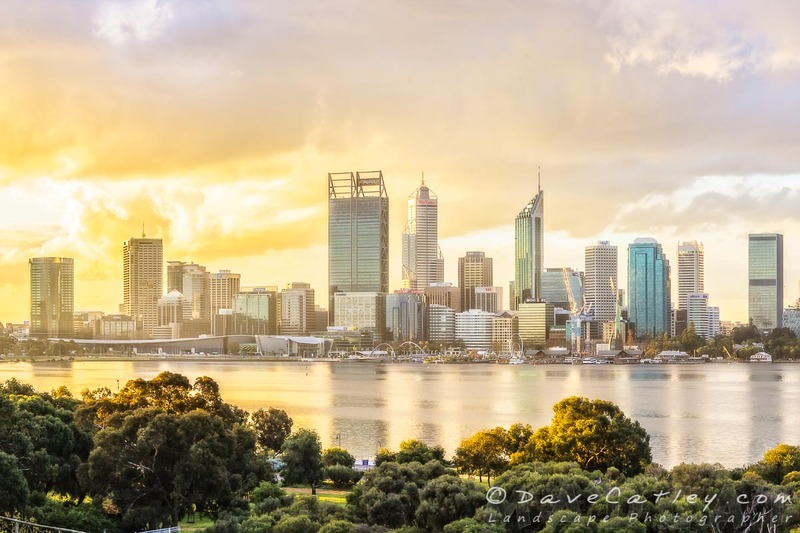 We live in one of the cleanest & most beautiful cities in the world here in Perth and we think it’s time to showcase just how amazing the Perth City Skyline is. We are currently in the enviable position of having access to a flat on Millpoint Road in South Perth with stunning views of the Perth City Skyline throughout the day. It never ceases to amaze me how much the colour & quality of light changes as the hours and days go by. In this series of posts I’ll be showcasing unique images of the Perth City Skyline in all it’s glory and variety. This first image was taken last week just before sunset. There were plenty of clouds in the sky with many gaps through which the sun streamed as it approached the horizon. To the West of the city the golden sun was filtered through the clouds providing a surreal golden glow that slowly faded towards the East into the cooler blue tones. The difference from one side to the other was enormous and simply breathtaking. Replicating such an effect can be very tricky in Post Processing, what starts out as a living atmospheric glow as light bounces of particles in the air all around you simply becomes a flat dull haze when the image is first loaded into Lightroom. You can see from the original image above there there was not a lot of “magic” to it at all. As always Lightroom did a great job of the initial processing which I then transferred to ON1 Photo Raw to add some effects and then into Photoshop for some final touches and to create my “Master File” for this image. It’s a proven fact that being out in nature is great for your mental and physical health. 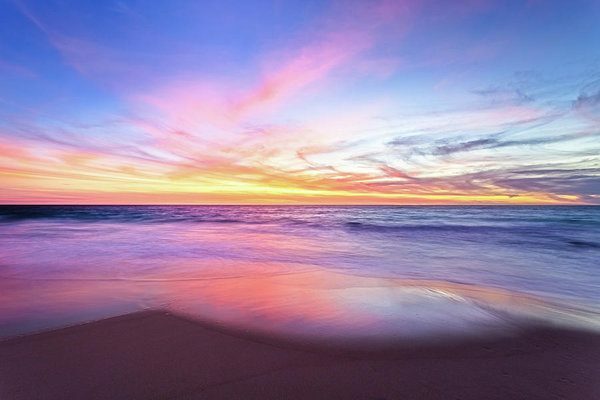 While you won’t get the full health benefit from our range of prints and photo gifts they are always a great reminder of where you’d rather be. 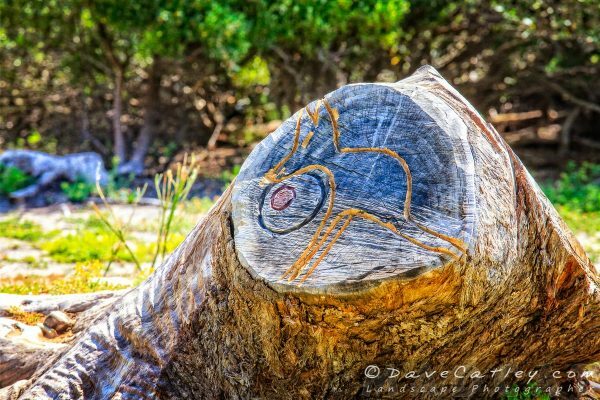 So be sure to check out our range of Fine Art Prints at madcat.com.au and our unique photo gifts (scarves, wall tapestries, beach towels, tote bags and much more) at madaboutwa.com.au. 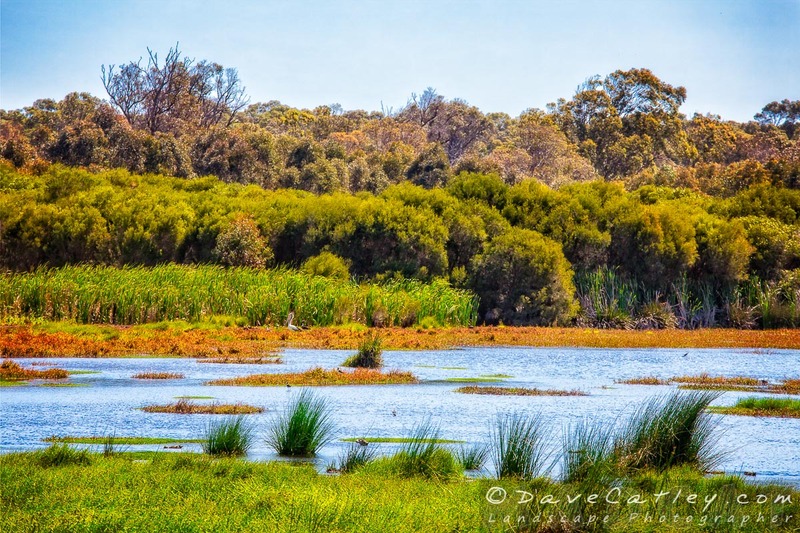 We heard that there are some baby Swans around Lake Wagardu in Yanchep National Park so we took a trip out there for our daily walk, sadly the Swans were a no-show but we did get to see a lot of other bird life around the Lake. One thing Yanchep National park has in abundance is Ducks! When we sat on a park bench to eat our lunch three Pacific Black Ducks waddled on over to see if they could get some crumbs. 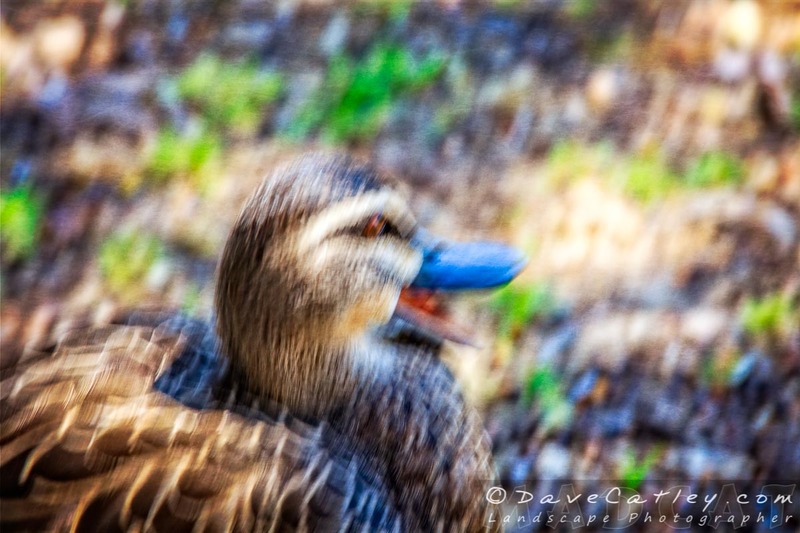 One was immediately chased off by the other two, obviously he wasn’t part of the “In-Crowd”! 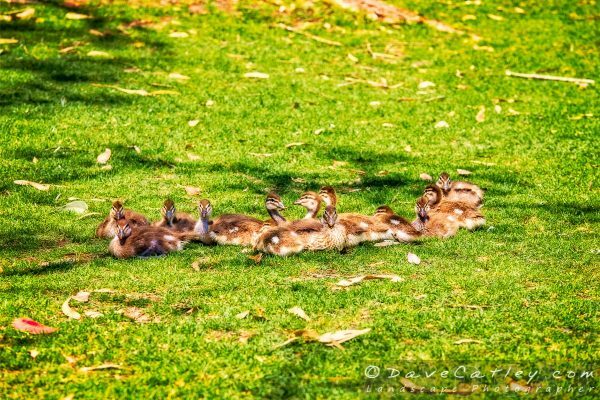 Luckily for the Ducks we know more about what is good for them than they do so they weren’t very lucky in the food department. It is really important not to feed Ducks or any other wild animals as it can upset the balance of nature as well as causing serious health problems according to the Department of Parks & Wildlife. While on our walk around the lake I spotted this awesome carving on one of the tree stumps, no idea who did it but it looked cool. 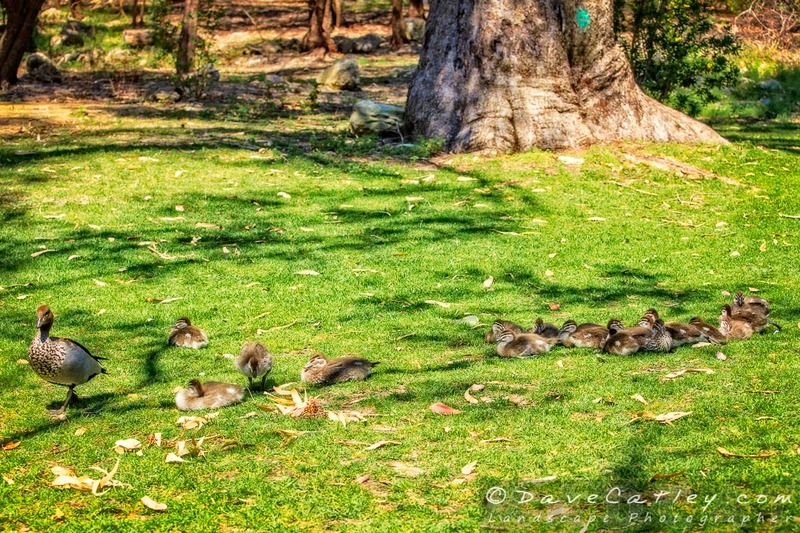 Hopefully we’ll spot the Swan’s Cygnets on our next trip to the Park. 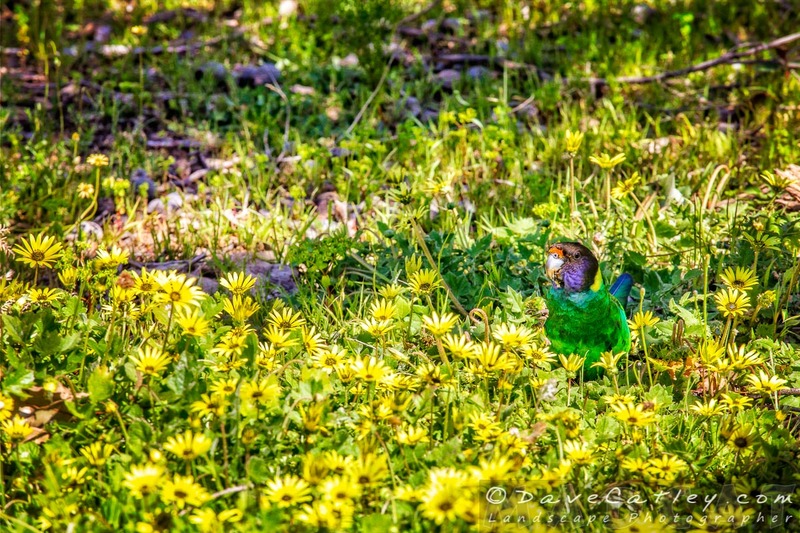 We went for a bush walk in Whiteman Park last week and spotted these two Twenty-Eight Parrots having lunch while being cleverly camouflaged by the yellow Daisies. 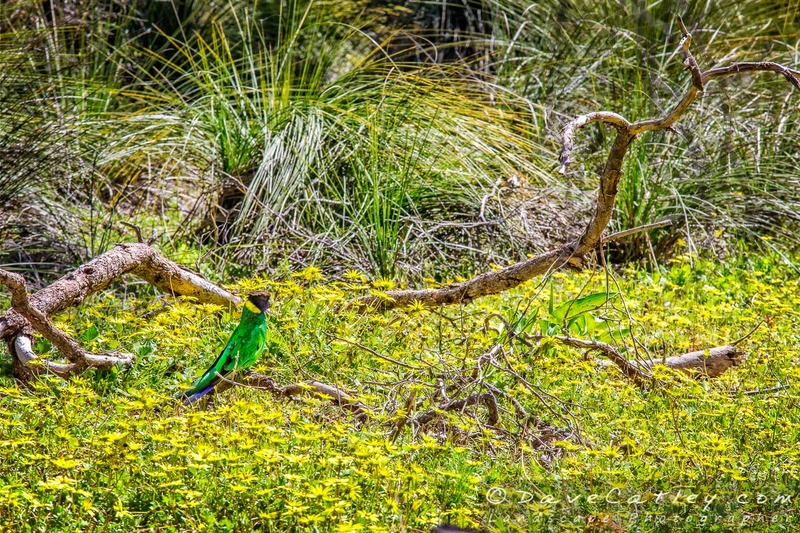 Whilst only found in Australia these guys are not considered endangered though they do compete for nesting space in the south west with the introduced Rainbow Lorikeets. Recently I was approached by Jane at Sleeklens to review one of their Landscape themed Lightroom Presets Collections called “Through the Woods”. 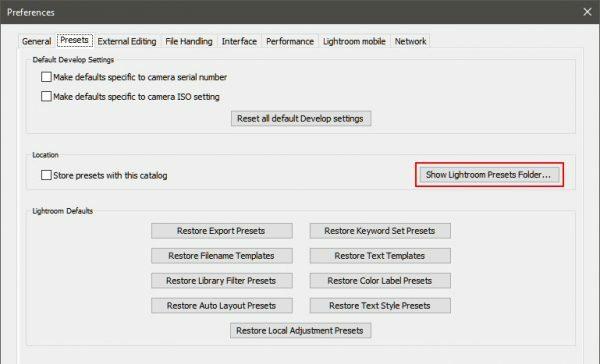 While I’m not a big user of other peoples Lightroom Presets I do use Lightroom A LOT and create many of my own Presets to make my workflow smoother so I do appreciate the value of products such as this for people who want a little help getting the most out of their photos in Lightroom. As I mentioned above I am not a big user of 3rd party Lightroom Presets and I had not heard of Sleeklens before so I did a bit of research on the web and it turns out they have a very interesting range of Lightroom Presets / Brushes and Photoshop Actions / Overlays and a strong community following. We are always very fussy about who we work with or recommend, it is our experience that a great product needs great support which only happens if the ethos of the company is appropriate. Badly treated staff will inevitably treat customers the same way! I was pleasantly surprised when I read the Sleeklens “About Us” page to see that it was about people and quality of service rather than just a corporate blurb. The CEO, Daniel Chabert, has even invited people to email him directly. As far as support goes Sleeklens have a very extensive FAQ page on their website along with several “How To…” pages and a collection of YouTube video tutorials explaining how to install and use their various products which they link to throughout their web site. They also offer a free Starter Pack of Lightroom Presets to try out. The contents of the collection is quite extensive including an impressive 51 presets & 30 brushes, compatible right back to LR 4. 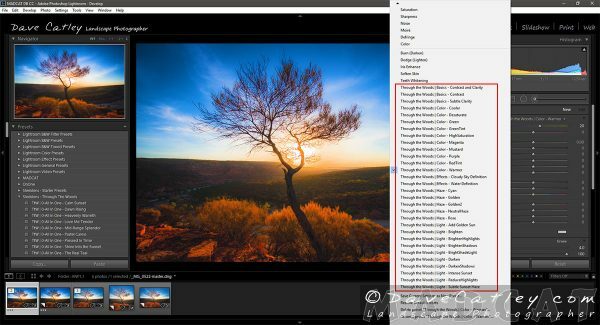 Also included are comprehensive installation instructions for Lightroom Presets & Brushes along with a recipe list of sample images and how they were processed. The package was delivered by email in a zip file, I believe if you order one from their website you can download the same file on completion of payment or from the link in the email they send you. 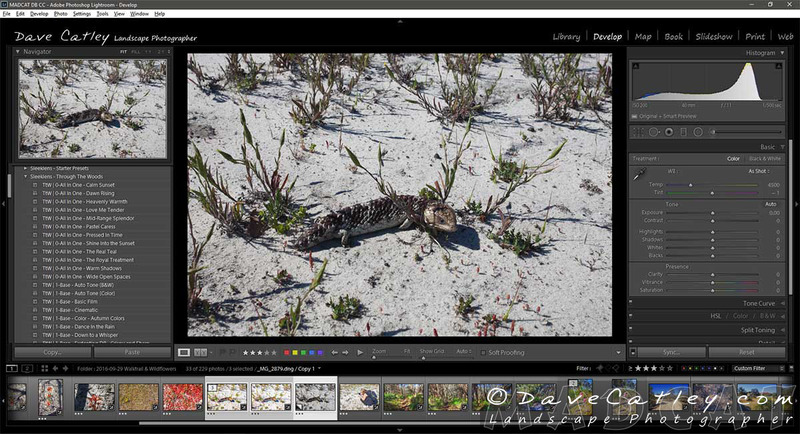 Installing Lightroom Presests and Brushes is a relatively simple process. If you open “Read this before installing the presets.pdf” there is a link to a YouTube video which will step you through the process of installing the presets. “How to install Lightroom Brushes.pdf” on the other hand offers written instructions for installing the Brushes. I’m not sure why the different formats for the included instructions but I here is the correct video from Sleeklens for installing Brushes. 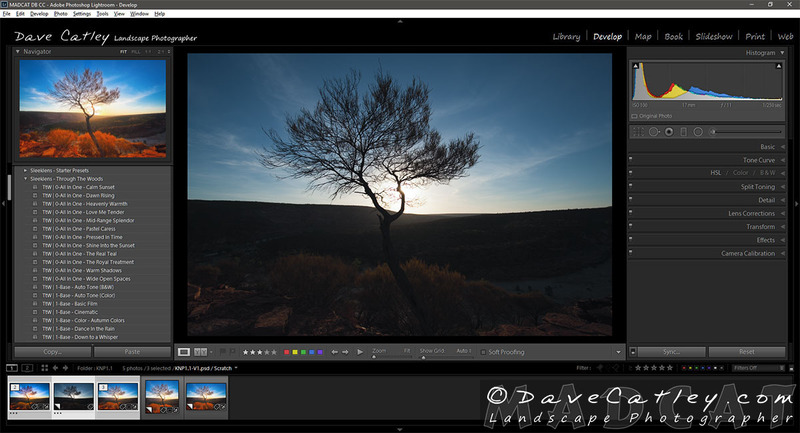 If that sounds like too much effort or you have any problems then you can read my post “How To Install Lightroom Presets & Brushes” which offers both “Quick & Dirty” and “Detailed Walkthrough” instructions for installing Lightroom Presets & Brushes. Once installed the Presets will appear in the Preset folder you created during installation inside the Develop Module. Expand the folder and you will see a long list of 50 new Presets, with each Preset following a simple naming convention to help you use them effectively. 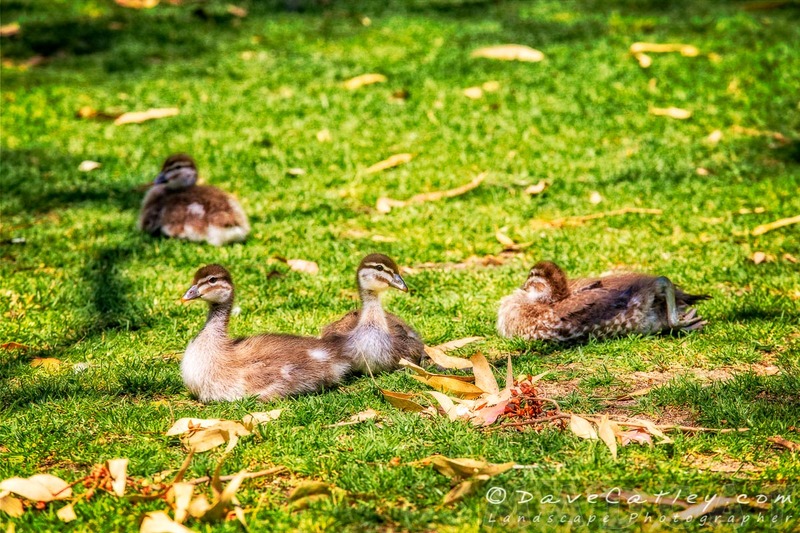 The first group of Presets (group 0) have a Preset Type of “All-In One” indicating that they are intended as a one-click solution or a heavily themed starting point overriding all of the Lightroom Develop settings you may have already made. This is how a lot of Presets work to make sure you get the full intended effect of the Preset author but it is worth bearing in mind. 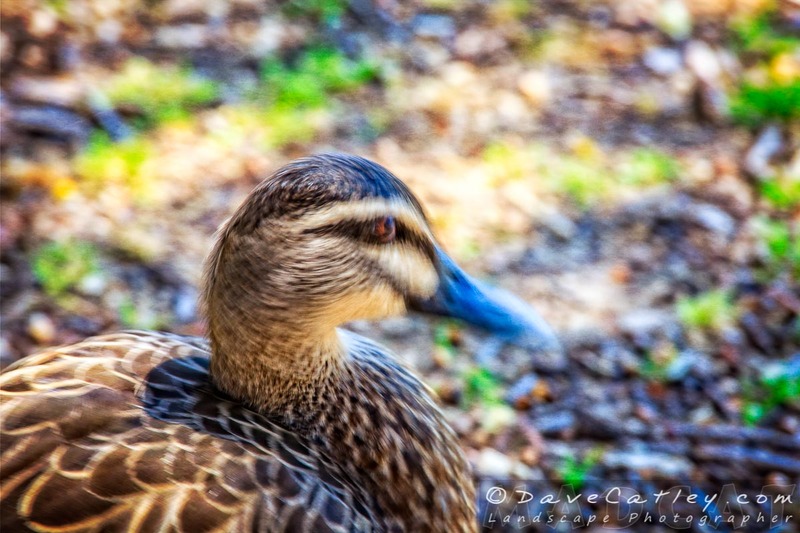 The remainder of the “Through the Woods” Presets are what we call “Stackable” which is an interesting idea as Lightroom does not have the concept of layers like Photoshop does. What makes “stackable” Presets different from the “All In One” Presets is that they will only change the settings that are relevant to that preset so it won’t overwrite all the other settings you have already used unless it needs to. However, it is important to bear in mind that the only way to remove any of these “stacked” Preset changes is to use the CTRL-Z (or CMD-Z) undo feature or the history list and then continue editing again. You can’t simply remove a Preset’s changes if you have made other changes since. For example if you apply the “Brighten” Preset it will only change the Exposure setting and all your other settings will remain unchanged. If you then apply the “Color Pop” Preset and decide you don’t want the changes made by the “Brighten” Preset then you must undo both and start again. Brushes work a little differently to Presets, to find the Brushes you must go to one of the Local Adjustment Tools located above the Basic Panel in the Develop Module. Simply select Graduated Filter (M), Radial Filter (SHIFT-M) or Adjustment Brush (K) and click on the “Effect” dropdown to see your Brushes. The naming convention Sleeklens have used for the Brushes is slightly different as there is no logical order in which to use Brushes as there is with Presets. Once applied you can tweak any of the settings to achieve the effect you desire. Unlike Presets, Brushes have the added benefit that they can be altered or removed at any time without having to go back through the History list. In order to review the “Through the Woods” Preset Collection I selected a few images that I had processed in Lightroom using my normal workflow. I reset the lightroom settings for each image and then attempted to see if I could achieve a similar look in a similar time frame with the Sleeklens Presets. 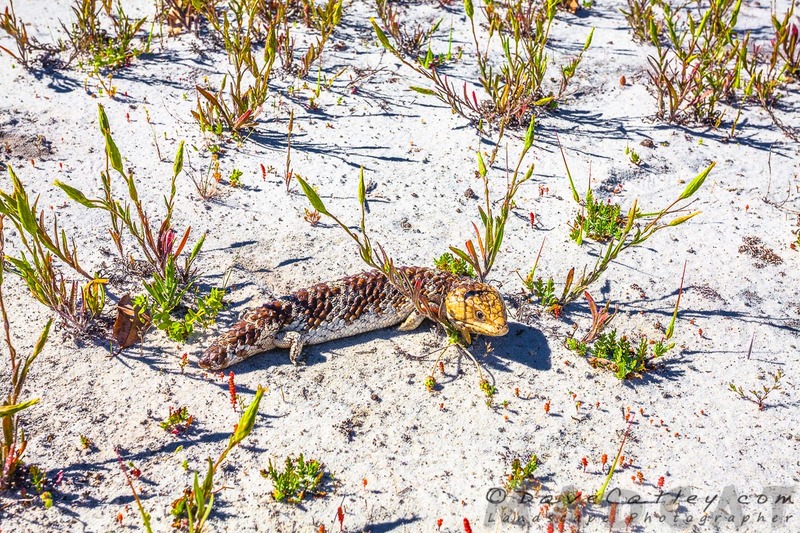 The first image I chose was of a Bob-Tailed Lizard (they’re actually called “Shingleback’s”) we came across during a recent bush walk in Whiteman Park. It was a bright sunny day with no clouds in the sky and Maggie almost stood on the well camouflaged little guy while we were getting some wildflower pics of to the side of the track. 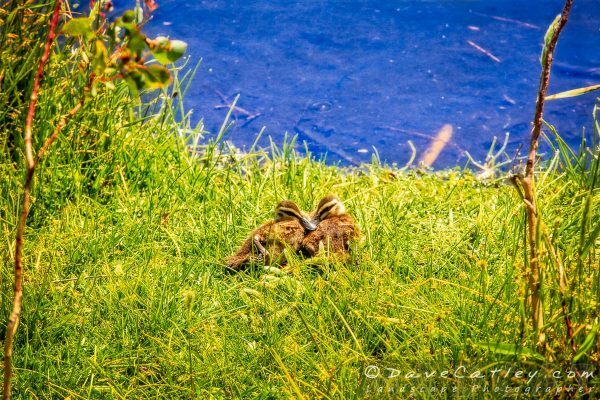 As you can see above, the photo came out a little underexposed and very dull & flat looking. What I wanted to achieve with this image was to showcase the stunning colours of the golden brown lizard, the green foliage and the red flowers in contrast with the reflected light from the almost white sandy soil. 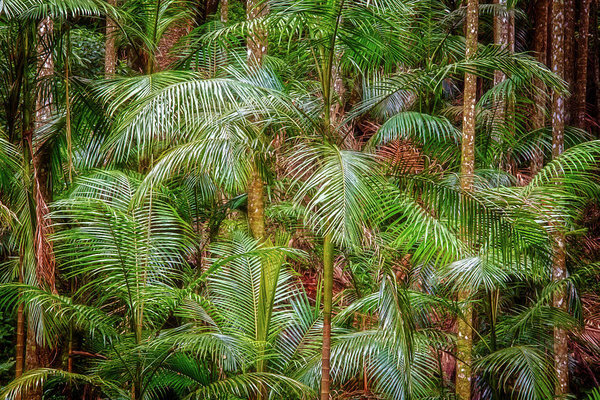 First I tried the “All In One” Presets but I have to say none of them worked for me. 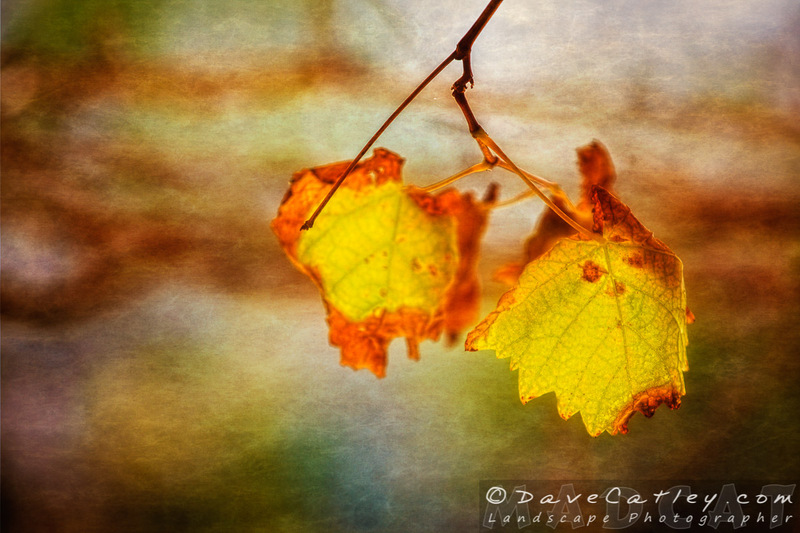 I do have my own style and I found that I could not even get close to something to work with using these Presets. As you can see these Sleeklens Presets did a great job of turning the dull lifeless original into something vibrant and engaging, it was also pretty easy to get very close to my original Lightroom adjustments. 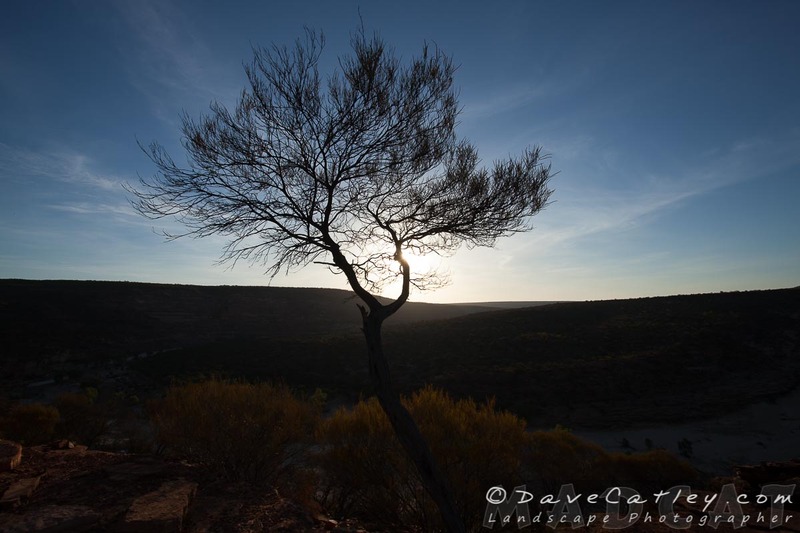 For the second image I wanted to try something different so I selected a sunset shot that I took a few years ago of the Murchison River in Kalbarri. We were there in March and there was virtually no water in the river so I had to get a bit more inventive to get some interesting shots without highlighting a dry parched riverbed! Again, I found the “All In One” Presets didn’t get me very far. The “Calm Sunset” was the closest but not at all inspiring. To be honest I didn’t really have great expectations for the “All In One” Presets as different images often require completely different processing so what works for one image can look terrible on another. I must admit that I was skeptical that the Sleeklens Presets would even get close to replicating the settings I used for this image but again I was pleasantly surprised, not just at how close I was able to get to my adjustments but how quickly I could use the Sleeklens Presets to get a great result. I found the Sleeklens “Through the Woods” Presets to be very intuitive and easy to use. With a little experimentation and some tweaking of the results I was able to get pretty close to the original Lightroom adjustments I made for both images. Amazingly, although the final results were visually similar the Lightroom settings I used originally were completely different to the settings used by the Sleeklens Presets which really shows just how versatile Lightroom is as a post processing tool for Photographers. The additional use of the “Through the Woods” brushes was also very helpful in making subtle but beneficial changes to the images. Time wise the Sleeklens adjustments were very quick to use and very versatile. Not all of the Presets will be useful to everyone, I doubt I would ever use the “All In One” Presets but everyone has their own style and the wide variety of options available in this collection makes it easy to achieve the look you are going for. Should you buy the Sleeklens “Through the Woods” Collection? For a Lightroom novice the “Through the Woods” Preset Collection will speed up your image processing significantly while also teaching how certain effects can be created with the multitude of Lightroom settings available. For experienced or professional photographers I could still see a place in your Lightroom workflow if you’re looking for a set of tools to get the job done quickly & efficiently or if you’re looking for some creative inspiration. Obviously the Sleeklens “Through the Woods” Preset Collection will not be for everyone and I highly recommend trying out their Free Lightroom Presets Starter Pack first and watching some of their tutorial videos if you’re not sure. Ultimately it’s up to every individual how they spend their hard earned cash but I can’t imagine anyone being disappointed if they decide to purchase the Sleeklens “Through the Woods” Preset Collection. 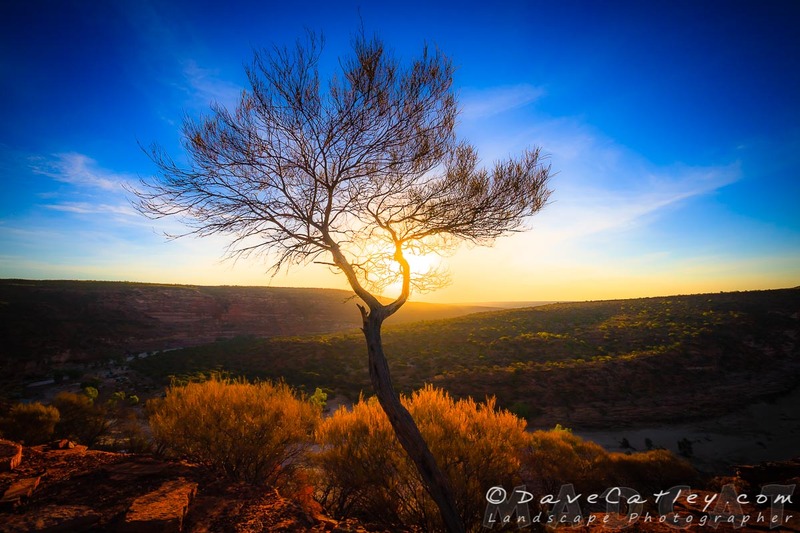 All of our reviews are completely unbiased and will generally be about products or services we use here at MADCAT Photography or that we are willing to personally recommend. Whilst we do not get paid to review products we may receive free products in return to enable us to perform the reviews. Additionally, many links you will see on this site are affiliate links which allow us to earn a commission while not costing you any more, in fact we will often be able to offer discount codes or limited time special deals. MAD About WA is our another Project Maggie & I are working on. 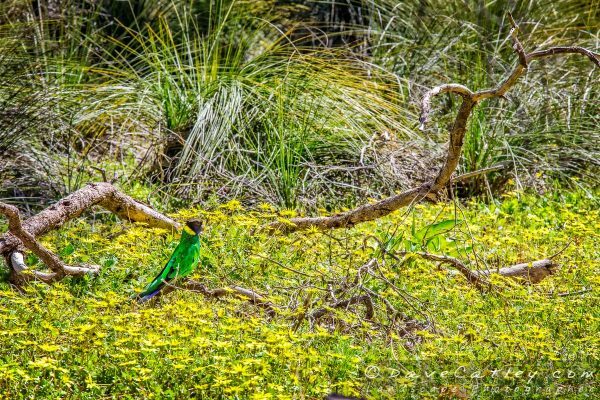 We will be blogging about things to do in and around Perth and Western Australia as we travel and experience what is on offer in this amazing state we live in. 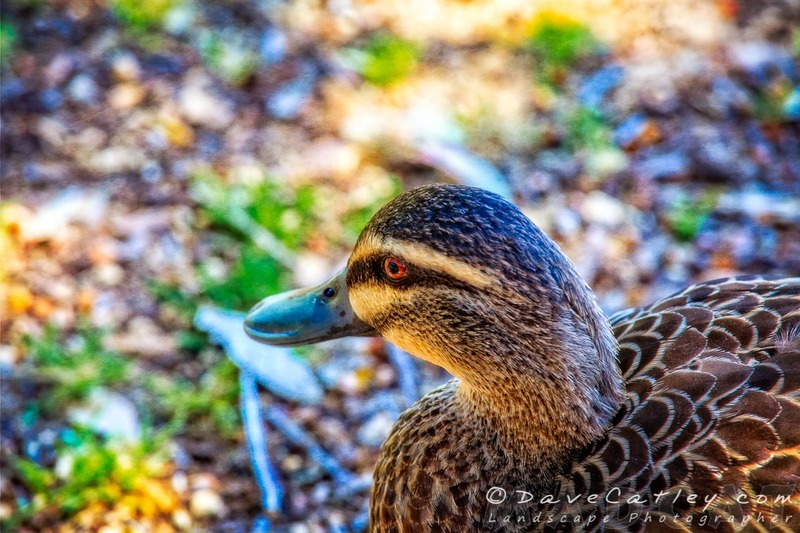 Many of my new images will be posted there and made available on a wide variety of clothing, household & lifestyle products and other many items. 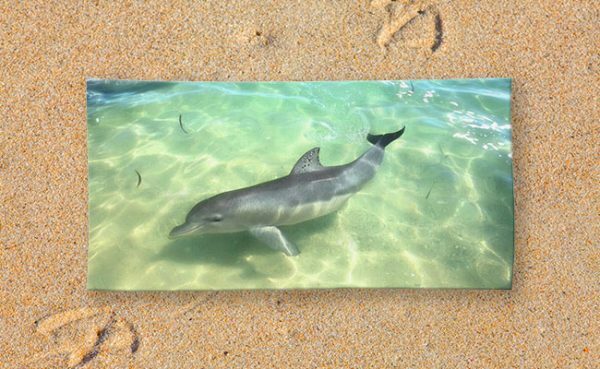 Who wouldn’t want their own baby Dolphin to take to the beach after all! Lightroom Presets & Brushes are great tools to help you speed up your workflow and improve your creativity. You can create them yourself or purchase / download them from various websites. This guide will teach you how to install Presets & Brushes that you have downloaded. For those of you that are more familiar with how Windows / Mac OSX works then the Quick and Dirty guides should be more than enough. For others the Detailed Walkthroughs will tell you everything you need to know. Locate the folder containing the Presets that you want to install. 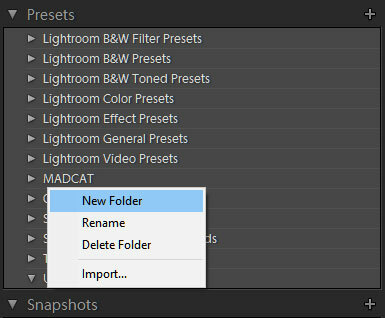 Go to the “Presets” tab and click on “Show Lightroom Presets Folder …”. If you need a detailed walkthrough then you probably shouldn’t be doing anything behind the scenes! 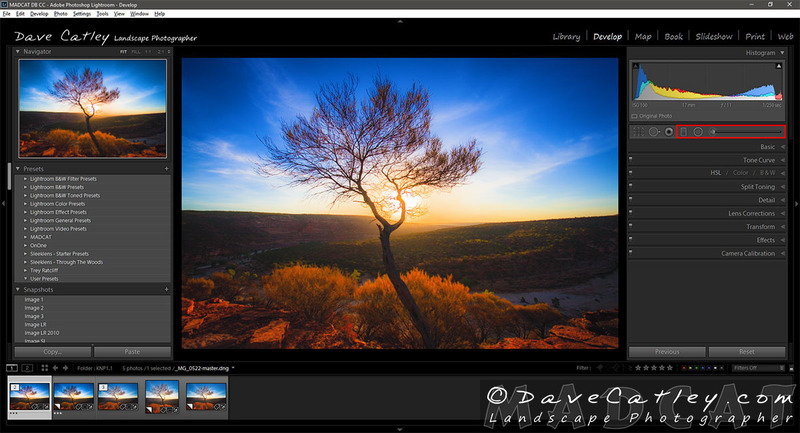 For reasons known only to Adobe there is no interface in Lightroom to import new Brushes. You can create them yourself from the Local Adjustments area but if you want to add new ones you have purchased or downloaded then you’ll have to do it manually. Ironically, the method for installing new Brushes is almost identical to the “Behind the Scenes” method for installing Presets that I described above! I know what you’re thinking, a few paragraphs ago I was telling you that you shouldn’t be going Behind the Scenes to install Presets if you needed a detailed walkthrough! Now I’m telling you that this is the ONLY way to install new Brushes and here is a detailed walkthough … Don’t Panic it’s not that hard and if you follow the instructions below you’ll be fine, honest! Locate the folder containing the Brushes that you want to install. Name your folder something meaningful. 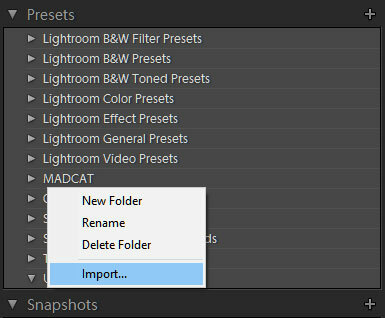 This is not as useful as it is with Presets as Lightroom will not display the folder name but it helps with managing your Brushes. 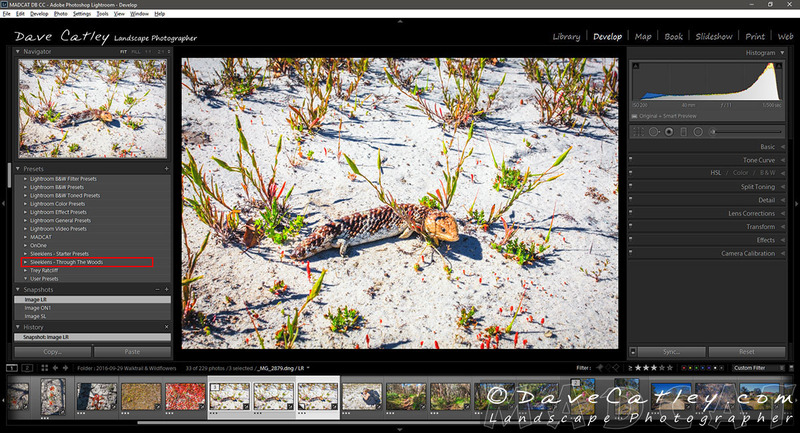 Now that you know how to install new Lightroom Presets and Brushes the World is your Oyster! We’re still working on getting the new content uploaded to this site so please bear with us. To see what we’ve been up to recently and view some of our new images and products please visit our new sister site at MADAboutWA.com.au. We’re embarking on a new and exciting chapter of our lives which you can read about in our MAD About WA blog post – “A New Brand and a New Lifestyle”. 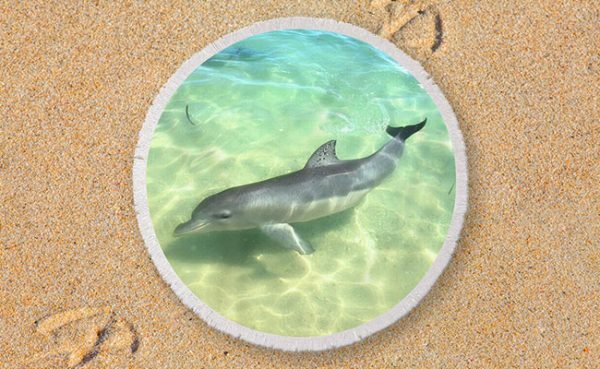 Check back soon for lots of exciting new images & products!